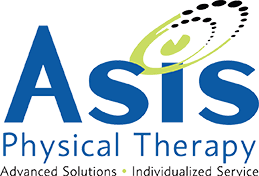 ASIS Physical Therapy – Advanced Solutions. Individual Service. The Most Cutting Edge Clinics in San Diego! At Asis Physical Therapy, we pride ourselves in having the most talented, caring, and trained professionals including Doctors of Physical therapy, Certified Athletic Trainers, Strength, and Conditioning Specialists, as well as Acupuncture and Massage. Manual Therapy: The Most effective, patient-specific, hands-on therapy techniques. Including myofascial decompression, hot stone therapy, spine mobilizations, joint mobility techniques, active mobility massage techniques, and PNF: a highly-specific muscle retraining. State-of-the-Art Modalities for Pain Relief: Cold laser, Spinal decompression, Hydrotherapy massage tables, Electric stimulation, and TENS units. 1-on-1 exercise with highly trained Athletic Trainers every session. No group therapy like you’ll find at many other clinics. c application, this amazing tape is used for injuries of all types for pain relief, muscle education, and improved pain-free function instantly. ed Golf Medical and Fitness Professional. Where a 3D system biomechanics analysis and full body testing will get you playing your A-game, pain free in no time. don’t be fooled by other Physical Therapy clinics, who claim to work with golfers but lack the proper training. Outstanding Physical Therapy Center! Every person you encounter, from the administrative assistants, to the PT techs, to the Physical Therapists themselves, everyone is very friendly and knowledgeable! I had no idea what to expect as it was my first time seeing a Physical Therapist but I learned so much about what was causing my back pain and was given detailed answers to all of my questions. They were also very accommodating in working with my schedule. I would highly recommend this place to anyone in need of a Physical Therapist!